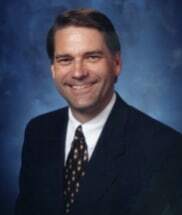 John Barlow has over 30 years experience practicing law in the <?xml:namespace prefix = st1 ns = ""urn:schemas-microsoft-com:office:smarttags"" />Los Angeles and Ventura County areas. He has also sat as a Judge Po Tem for the Los Angeles Superior Courts, hearing Landlord / Tenant and Small Claims matters for over five (5 ) years. John currently sits on the Board of Directors for 20th Century Fox Federal Credit Union CUSO and previously sat on the Board of Directors for Exceptional Children's Foundation. John works hard to make sure his clients estate planning needs are met and wants them to be completely satisfied with the product received. His clients peace of mind, knowing that their estate planning documents are in proper order, is of the utmost importance to him. John can advise you on the best procedure to eliminate or avoid paying estate taxes, assure your estate assets transfer smoothly to your beneficiaries at the appropriate time, without the cost and time delays associated with a probate, and most importantly, you will remain in control of your estate, not others. By setting up a trust you do not have to give up control of your assets. You can avoid gift taxes, get a step-up in value on assets to their current market value and keep more of your money and property within your family. Creating and putting into effect a Durable Power of Attorney for Asset Management or Healthcare is one of the tools John uses to assist you in dealing with issues that need to be considered and addressed now, before you are unable to take care of your self or choose someone to assist you in dealing with your daily needs. John wants to make sure your wishes are carried out with regard to your every estate plan. These types of documents should be set up by an experienced attorney who knows how to use them and can tailor the language used to meet your needs. In the event court intervention is necessary, John has years of experience litigating probate matters to help with the distribution of assets and will work with your designated executor, or "attorney-in-fact", to make sure your estate plan is implemented according to your desires. You may be one who says: "I don't need a trust. I don't have a large estate. I don't need fancy planning. It's too expensive and complicated. So I just don't need a trust!" So you ask: "Why would I want to have a trust?" I'm going to describe in a few simple words why you will benefit from a trust. First, let me explain what a trust is. A trust is a written document that allows you to legally transfer your real and personal property to your family, or others whom you care about, upon your death. All without requiring that onerous and expensive court process called probate. You might think of your trust as forming your own company. You (and your spouse, if married) are the only employees and managers of the company. All of your assets are now owned by your company, not by you individually. You are still in full control. Your company instructions say that in the event of your death or incapacity, you have named an alternate person to "run the company." That is your successor trustee. Since all your possessions are now held and titled in the company's name, or in the name of your trust, there is nothing in your name which would require probate. Probate is the legal proceeding to change the owner of your assets upon your death. 3. It takes less time. Instead of taking months or even years to transfer your property through probate court proceedings, with a trust your estate can be settled in just a few weeks of your death. There are no court delays or judicial interferences. In the event of your incapacity, your Successor Trustee immediately takes control of your estate for your benefit. No court conservatorship will be required.